Posted on February 11, 2015 by No Map Required Posted in Art, Art & Engineering, Ecuador, Places	. 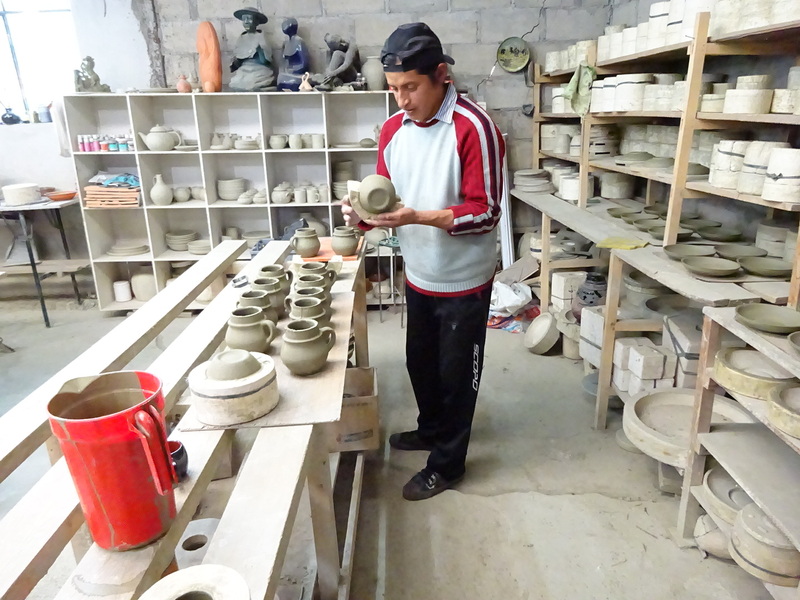 We conclude this InMyDreams-Grand-Prize-award-winning 3-part program with the wonderful work of Angel Lozano, a potter and ceramacist in Saraguro. 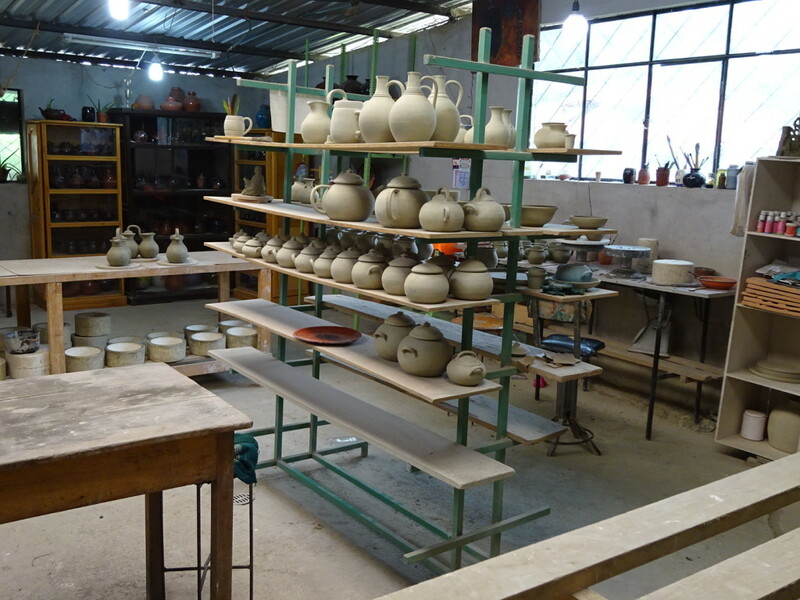 Actually it’s Angelito, as his father, the potter who started their shop Ceramica Lozano, is also Angel. 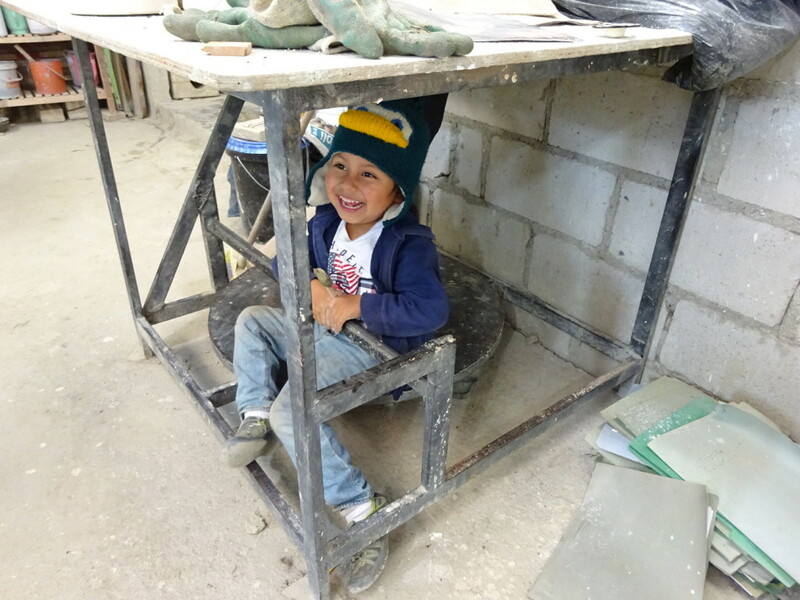 Angel the younger is taking over most of the work now and we really appreciated him (and his nephew, who couldn’t stop trying to eat the clay!) showing us their studio and process. 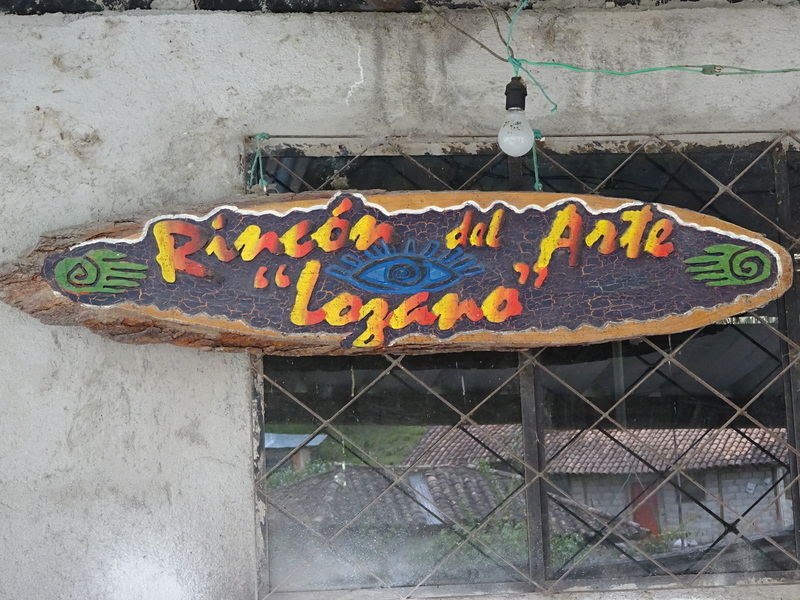 Studio sign for the family Lozano – Angelito also paints and sculpts! Angel’s nephew – cute as can be and he loved playing with us! Like so many Ecuadorian kids, his parents are in the US sending back money so he’s staying with his extended family. 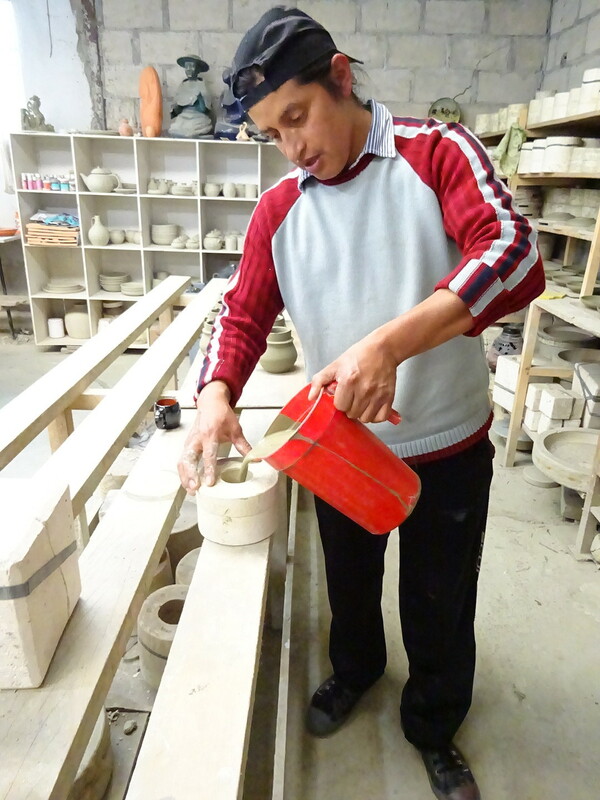 Angel pours clay slip into a mold of a mug. 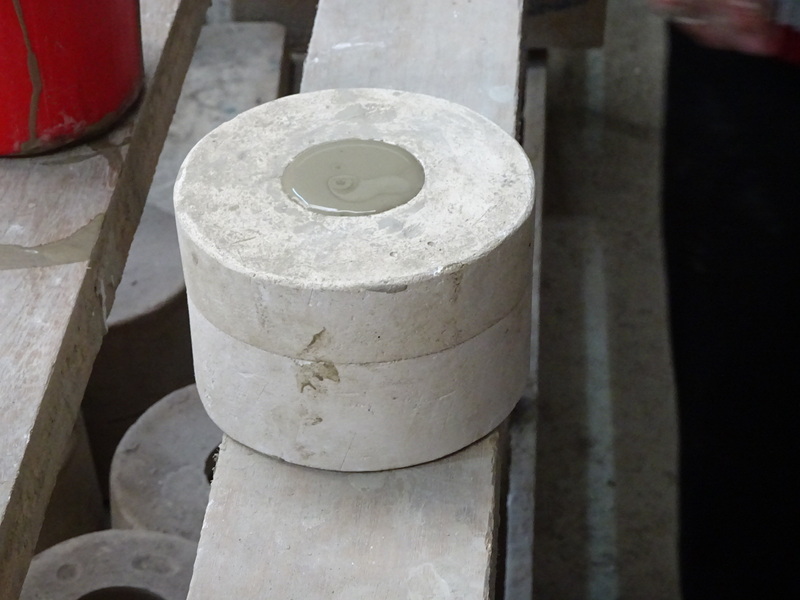 …then he pours out the slip so that he has a hollow mug form inside the mold! 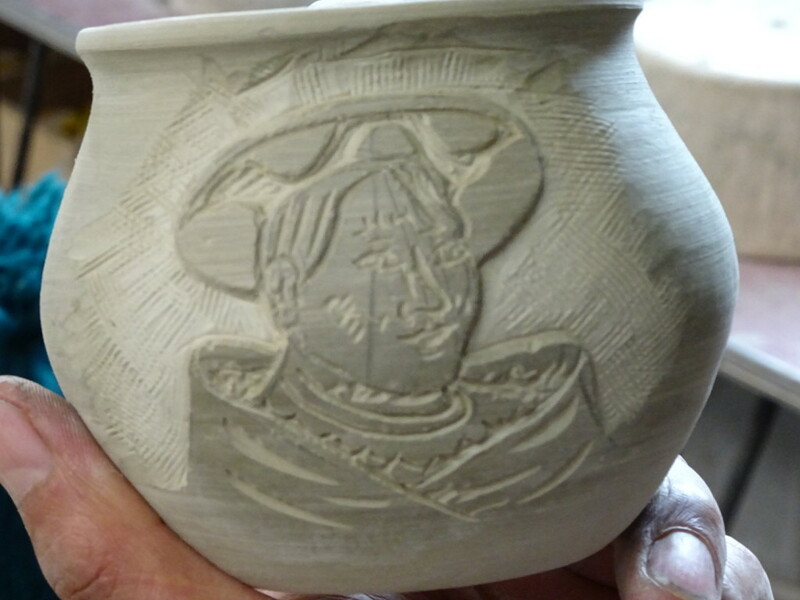 After drying for a day or so, he can remove the mold and then the mug will air dry for another day before being cleaned and carved. Here you can also see the wall of molds on the right and some of Angel’s figurative sculptures in the back. It amazes me how fast and confident he was in that 2nd video with carving the design! Recognize the hat and other elements from the women weavers? THAT’s Saraguro to me! Carved Saraguro woman – check out the video for the whole process in about 6 minutes! 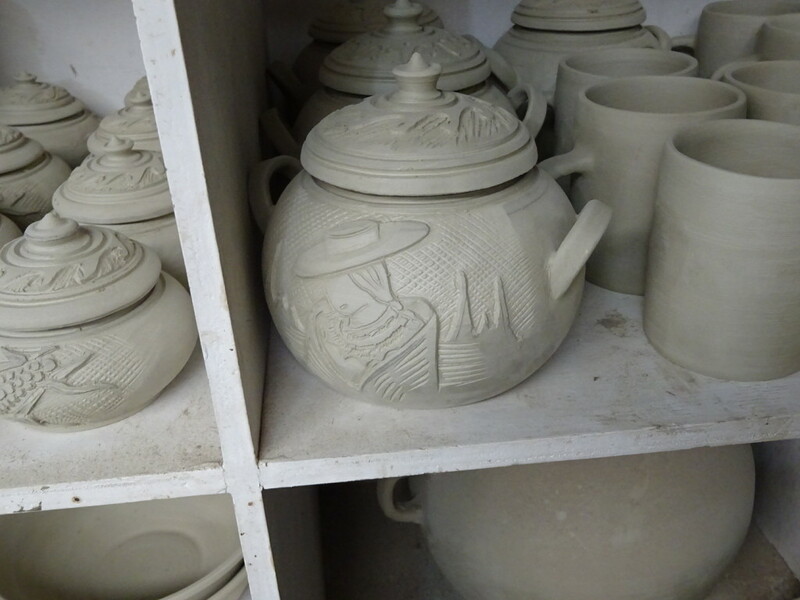 The Lozanos focus on designs of local culture – maize is a staple in almost every daily meal. Another Saraguro woman with a local Andean background. His nephew was too cute not to add in one more photo! 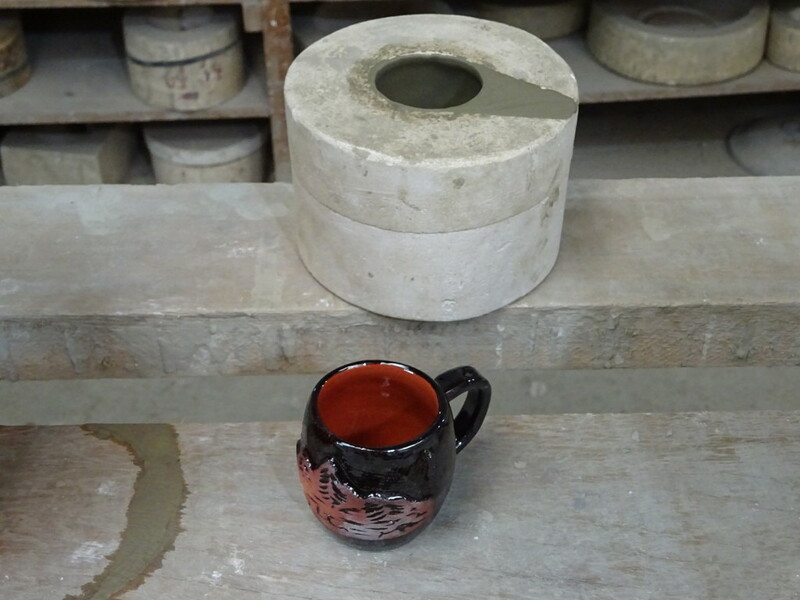 I can’t tell whether I like his pottery or his nephew better. 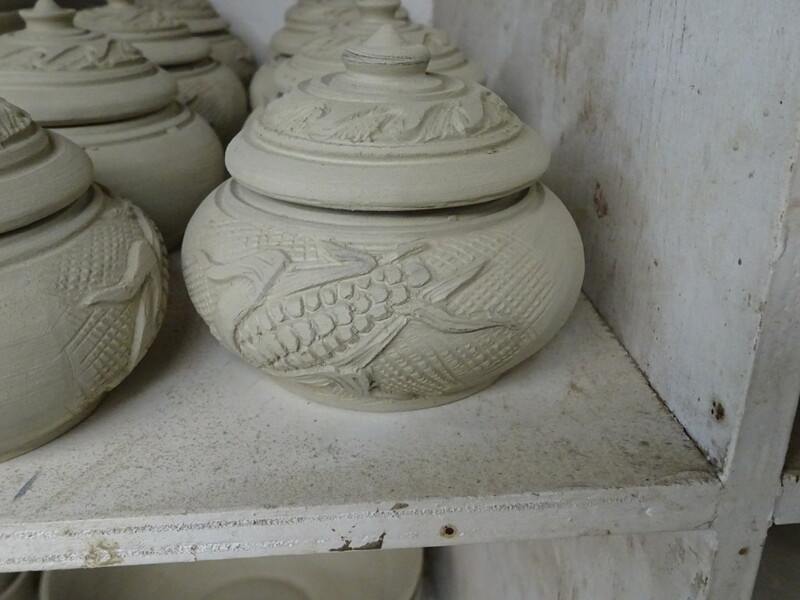 What lovely pottery. What a wonderful smiling face. Anner, you can always ship stuff to me and I’ll hold it for your return. I suspect Aaron is truly in “Heaven”!! You don’t know the half of it!!! So true! If you go, let us know – we’d love to hear your reactions to everything. We sure enjoyed it and learned a lot! That kid is a cutie-patootie! Sure was! 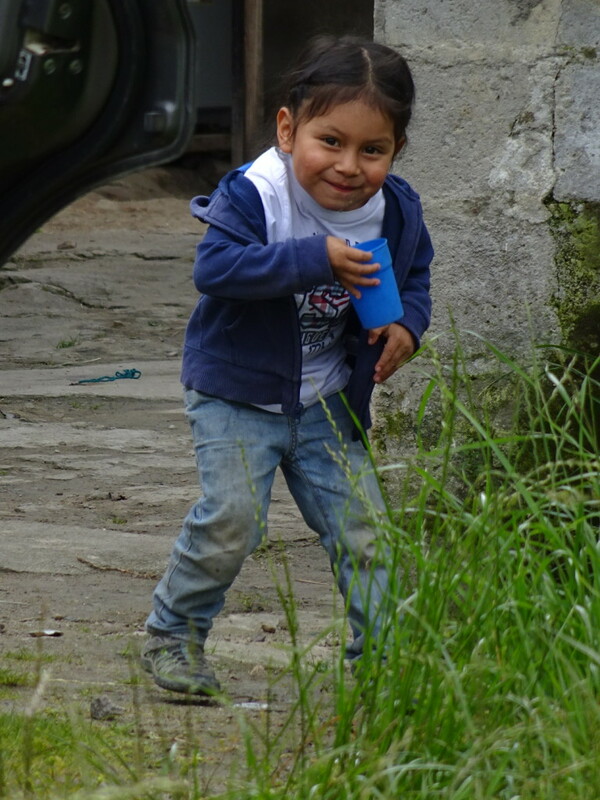 Ecuadorian kids seem to pretty much top the cuteness charts!